This American president's library contains many books on religion, but it also contains a copy of Darwin's Origin of Species. Which American president is it? That wretched hive of scum and villainy, the Discovery Institute, has announced that its nefarious tentacles have snagged a new venture: a situation comedy called the "Walter Bradley Center for Natural and Artificial Intelligence". Walter Bradley, as you may recall, is the engineering professor and creationist who, despite having no advanced training in biology, wrote a laughably bad book on abiogenesis. Naming the "center" after him is very appropriate, as he's never worked in artificial intelligence and, according to DBLP, has no scientific publications on the topic. And who was at the kick-off for the "center"? Why, the illustrious Robert J. Marks II (who, after nearly four years, still cannot answer a question about information theory), William Dembski (who once published a calculation error that resulted in a mistake of 65 orders of magnitude), George Montañez, and (wait for it) ... Michael Egnor. Needless to say, none of these people have any really serious connection to the mainstream of artificial intelligence. Egnor has published exactly 0 papers on the topic (or any computer science topic), according to DBLP. Dembski has a total of six entries in DBLP, some of which have a vague, tangential relationship to AI, but none have been cited by other published papers more than a handful of times (other than self-citations and citations from creationists). Marks has some serious academic credentials, but in a different area. 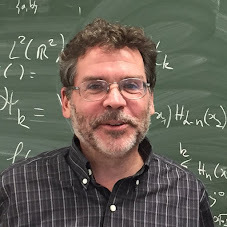 In the past, he published mostly on topics like signal processing, amplifiers, antennas, information theory, and networks; lately, however, he's branched out into publishing embarrassingly naive papers on evolution. As far as I can tell, he's published only a small handful of papers that could, generously speaking, be considered as mainstream artificial intelligence, none of which seem to have had much impact. Montañez is perhaps the exception: he's a young Ph. D. who works in machine learning, among other things. He has one laughably bad paper in AI, about the Turing test, in an AI conference, and another one in AAAI 2015, plus a handful in somewhat-related areas. In contrast, take a look at the DBLP record for my colleague Peter van Beek, who is recognized as a serious AI researcher. See the difference? Starting a center on artificial intelligence with nobody on board who would be recognized as a serious, established researcher in artificial intelligence? That's comedy gold. Congrats, Discovery Institute!